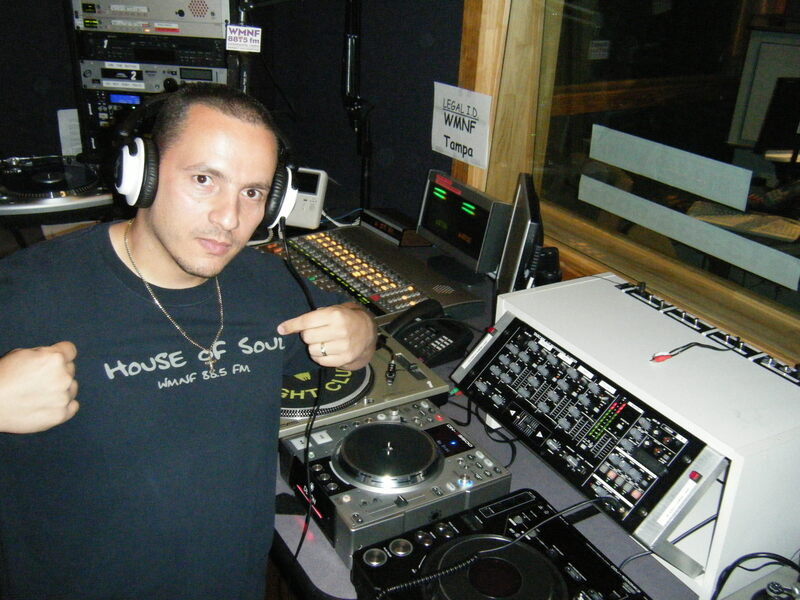 Soul and house music with John Velez. I took that drive and determination with me every weekend to underground house clubs in Manhattan and Queens. That's how I started in this dj game. Dancing quickly evolved into collecting vinyl to make my own dance tapes. Then I started to bring my records to a close friend of mine who had dj equipment and have him make me the baddest tapes around. Let's say the rest is history. I learned quickly as he taught me some of the most valuable lessons in the dj game............ know your music and don't be afraid to take risks as a dj. House parties were a big thing growing up in NY and that's where you could refine your craft, try out your newest mix ideas, and get everyone dancing. I knew where I wanted this journey to take me but I never knew how rewarding the journey would be. Flash forward to 1999 I'm living in Tampa now and I stumble across "Our House Mixshow" on 88.5 WMNF hosted by David Reyero and Jask. I was saved............ literally and I knew had to get in touch with these guys. It started with a simple phone call to the station and then pledging during marathons. David, always so appreciative of the support, finally reached out to me and asked me for a demo tape. That led to occasional guest dj spot on his show to being a fill in host when him and Jask would head down to Miami for WMC. In 2005 it would all change. David was ready to step aside and asked me to take over his dream, his vision, his baby. I was honored and wasn't too sure about this shows success moving forward. I just didn't want to make a mockery of what he had built. I had no idea how I would do it or where I could take the show but I knew one thing, David put his trust in me and I was going to give it my best shot. With his blessing I changed the name to "House Of Soul" I've been up here 10 plus years now. And i've enjoyed every step of this journey. To date the thing I'm most proud of is how i've been able to build this up to become a recognizable show worldwide. I have consistent listeners across the world. From London, France, Italy and Austria to South Africa, Japan, Columbia and Canada. I've got listeners all over the US. How can you accurately measure success? I don't know that because my journey is still going....................but I do know that I'm blessed.